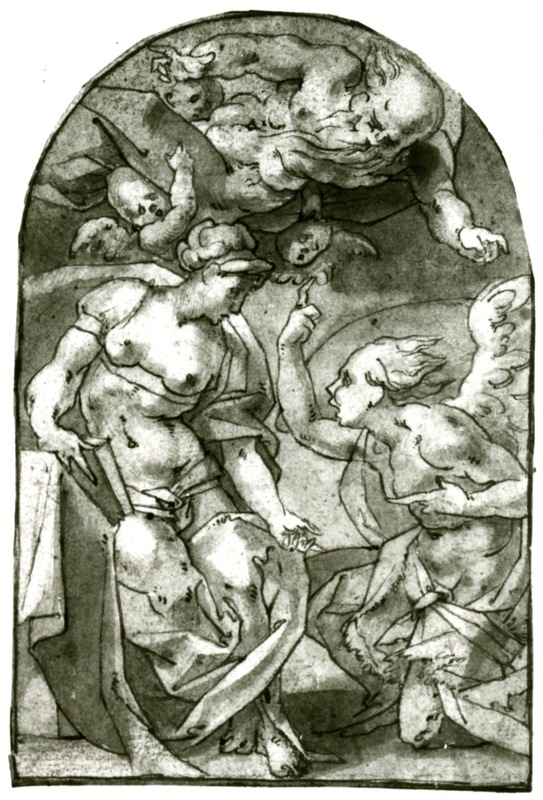 Engraving by René Boyvin?, 20.1 x 15.1 L (New York). Robert-Dumesnil, VIII, 1850, 20, no. 6, as Boyvin after Rosso. 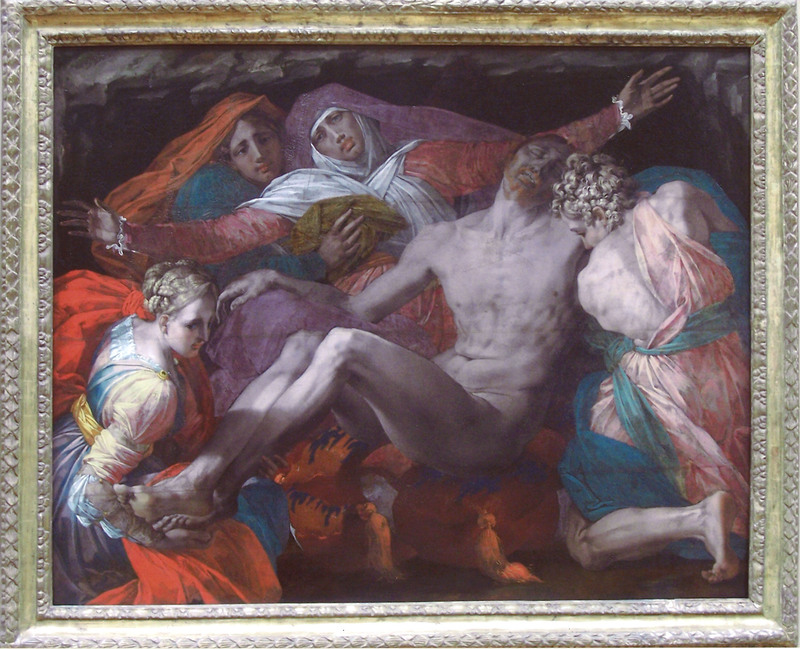 Le Blanc, 1854-1890, I, 506, 61, as Boyvin after Rosso. Levron, 1941, 74, no. 163, as shop of Boyvin, after Rosso. COLLECTIONS: New York, 32.92.27(4). Paris, Ed 3. Vienna, F.I.3, p.3, no. 5. 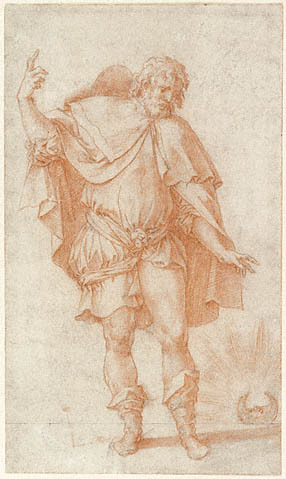 Linzeler, 1932, 167, as Boyvin after Rosso. Carroll, 1987, 44, 362-363, no. 115, with Fig. (New York). Béguin, 1988 (1989), 15, as Boyvin after Rosso. The attribution of the design of this print to Rosso has never been questioned. 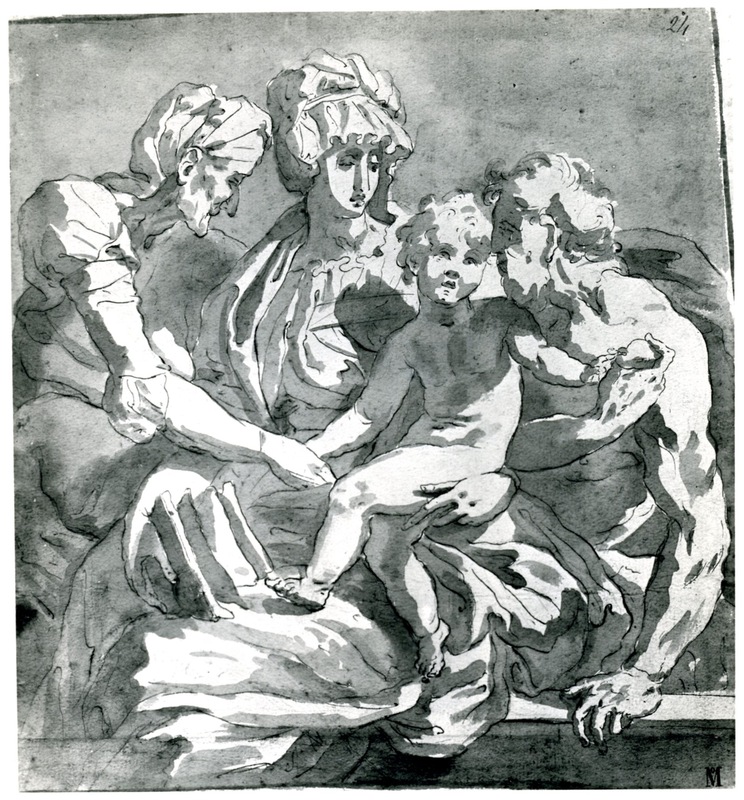 In the largeness of its forms filling the area of the picture, as well as in the shuttling drapery patterns, the Madonna and Child with a Book resembles Rosso’s Pietà in the Louvre (Fig.P.23a). The Madonna’s face with its downward slanted eyebrow, long straight nose, and full lips also resembles the faces in that painting. The Virgin’s ruffled bonnet is like that in the Dei Altarpiece (Fig.P.12c) and in the Holy Family known from a copy in Milan (Fig.D.82). Grand in size and expression and finely elegant as well, the invention of this composition would seem to belong to the latter part of Rosso’s career in France. It would seem to have been done in 1538-1540, around the time of the Empedocles-St. Roch (Fig.D.80a), the Holy Family mentioned above, and the Annunciation in Düsseldorf (Fig.D.83). Without his name or monogram, Boyvin’s authorship of the print is not certain, although it does resemble his style and could have been made in his shop. Whether or not the engraving reverses Rosso’s lost image cannot be said for sure, but the gesture of Christ’s arm around the Virgin’s neck and the Virgin holding a book both with their right arms and hands suggest that the engraving is in the same direction as Rosso’s original image. 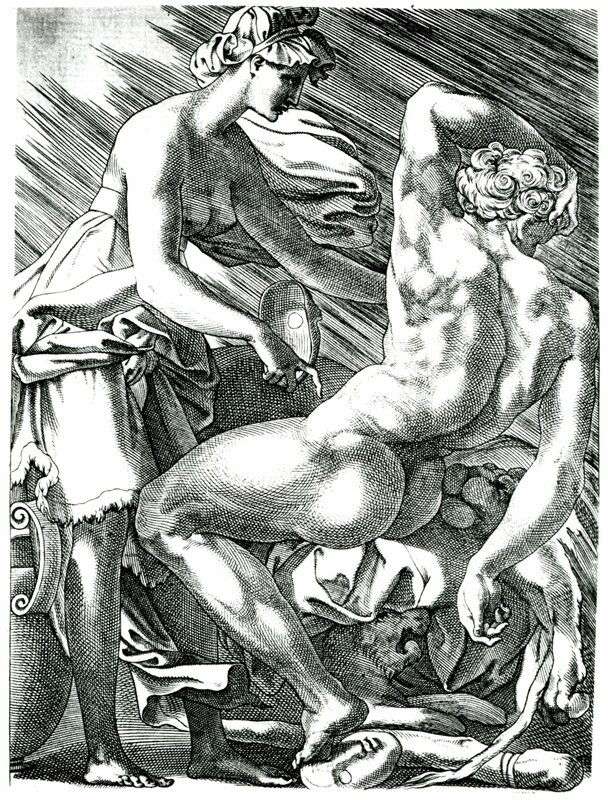 Most of the prints associated with Boyvin for which Rosso’s original compositions survive have been reversed in the engraving. 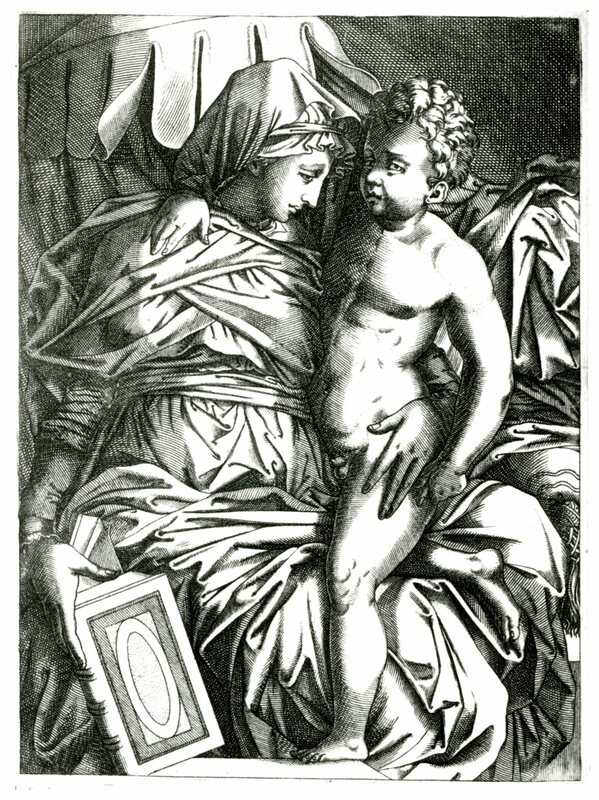 Consequently, the Madonna and Child with a Book engraving is most likely not by Boyvin. Its technique, which appears less regular than Boyvin’s usual manner, looks rather like Pierre Milan’s. 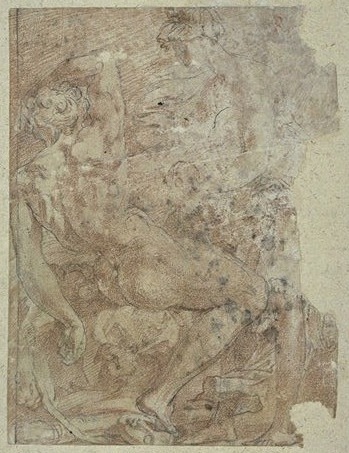 The print is probably based on a lost drawing by Rosso similar to that used for the Dream of Hercules (Fig.D.78a and Fig.E.17). 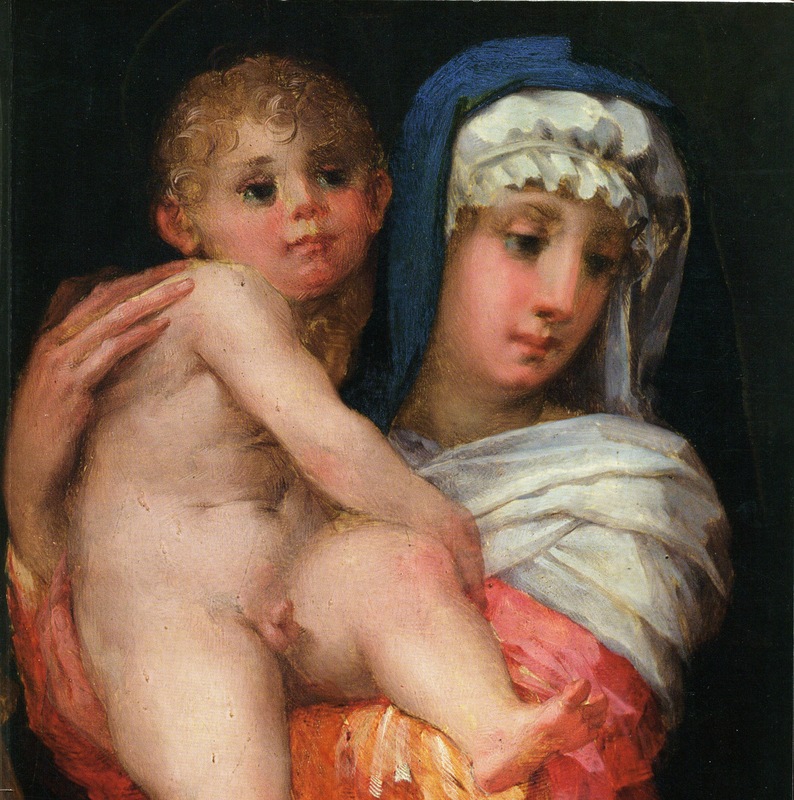 A picture of this composition of the Madonna and Child with a Book is not recorded to have been painted.